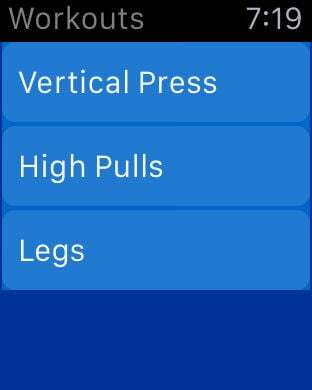 A simple app to help you with your workouts. 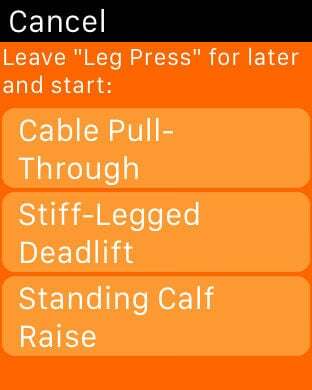 Just add your workout plan to the app and it will help you by telling what exercise is next, which set you are, how much time you have left and how many repetitions and how much weight to use at the appropriate time. After you started your workout, if the equipment for your next exercise is already being used, you can change the order of your exercises and move on to the next, leaving the other for later, without having to wait. You can see all that either through your iPhone or Apple Watch. 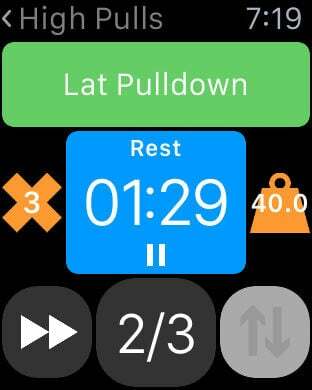 To use the app on your Apple Watch, you first need to add your workouts to your iPhone app and than sync with your watch (which is done automatically when you start the app on the watch). After that, you can use your watch even without the phone. To get notifications, your watch needs to be connected to your phone.